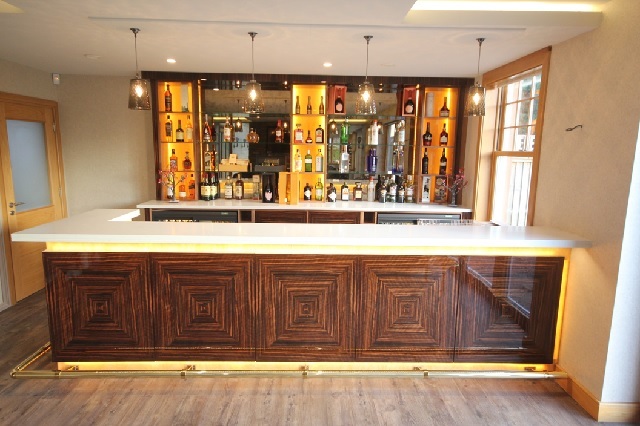 Luxury Home Bar in polished Macassar Ebony and Walnut with Caesar Stone work surfaces. 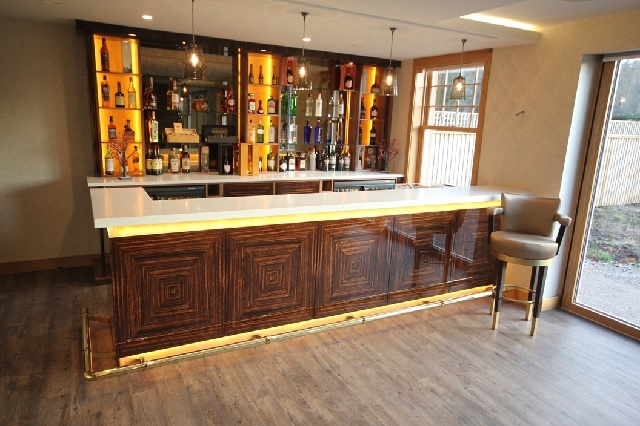 The design of the bar in this luxury Alderley Edge home was worked through in every detail with the client to eventually arrive at their ideal solution to suit the room and their home. 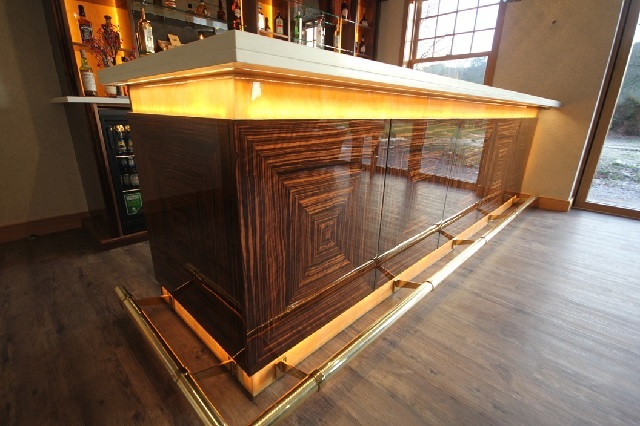 The room was also complemented by a matching dining table in Macassar Ebony. 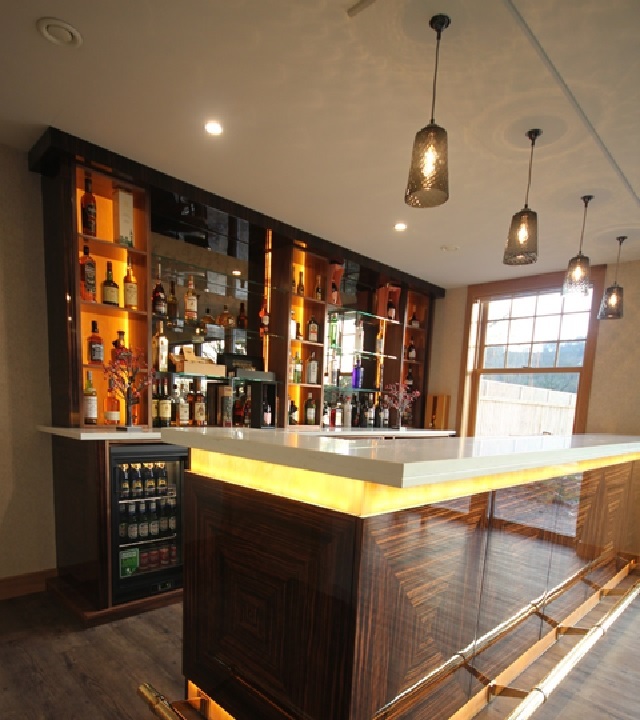 The bar is a full wet bar with sink, ice machine and dish washer. 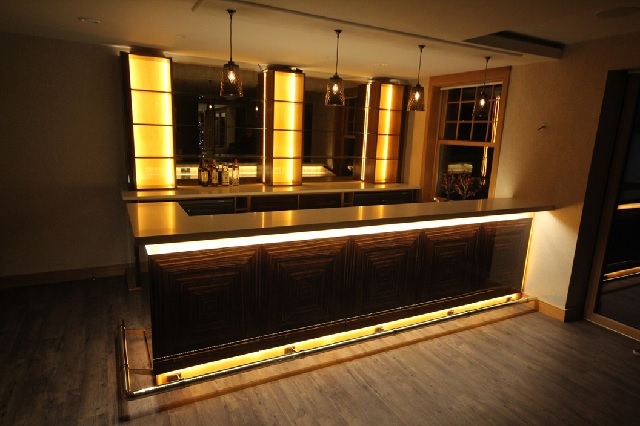 The bar also includes 3 fridges and lots of feature lighting. 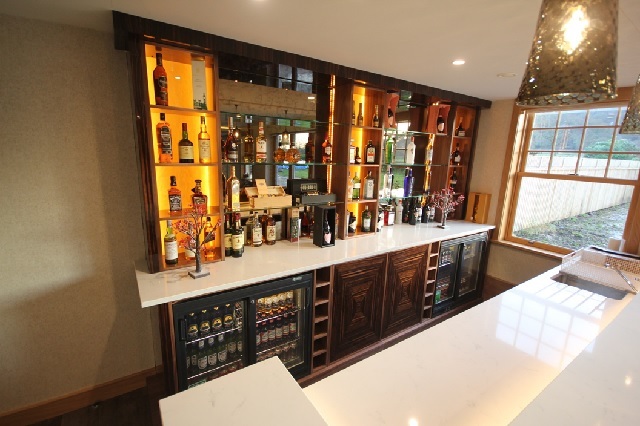 The shelving for the bottles and glasses has a backing of antique mirror and back lit marble.